Soulful: Another new year, another chance! Again its been a long time since I have blogged anything. A part of the reason behind this absence was deliberate and a part of this was because I was seeking a break to be completely immersed in my family life. My daughter, my parents, siblings. But I am back as ever. Just with a sombre mood. Every new year offer us something new, something pleasant worth remembering, something unpleasant worth forgetting. And every ending year offer us some resolves for the coming days. Resolves that we will do something and resolves that we won't do certain things. Like this, we add years on years to build our life. And irrespective of the promises accomplished or broken, we mature and understand life a little more, a little better. Just like for the world hit by another frightfully terror attack on little souls, for me too, the year end has brought some unpleasant memories and certain hard resolves. And I am yet to see whether I am strong enough to respect those. Personally, I have set some high expectations and challenges with myself for the coming year and I hope that I will progress with my spirituality to know more about myself and unravel a little more of the hidden mystery behind my existence so that I remain unruffled with the happenings around me and can focus more on spreading happiness to the world. After all this should be our ultimate goal, for all of us mortals!! 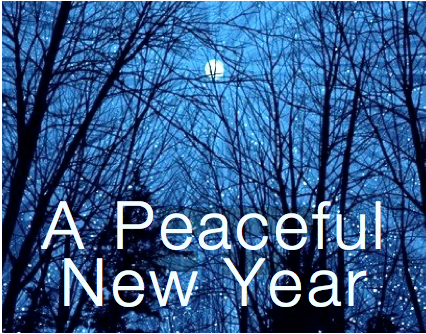 I wish everyone a wonderful year ahead and I pray that the world have a peaceful year 2015. May love and peace blossoms. Great to see you back Roohi.May the new year bring you all happiness, peace & success! Very true! Another chance to learn from the past and make improvement in the new year. Wish you a very happy and prosperous new year Roohi. Very well written Roohi! Loved reading. Do check out contest on my blog http://www.numerounity.com/2014/12/to-melbourne-with-love.html ..answer one simple question and win voucher!